Genus of about 60 species of deciduous trees and shrubs from varying habitats throughout the northern hemisphere. 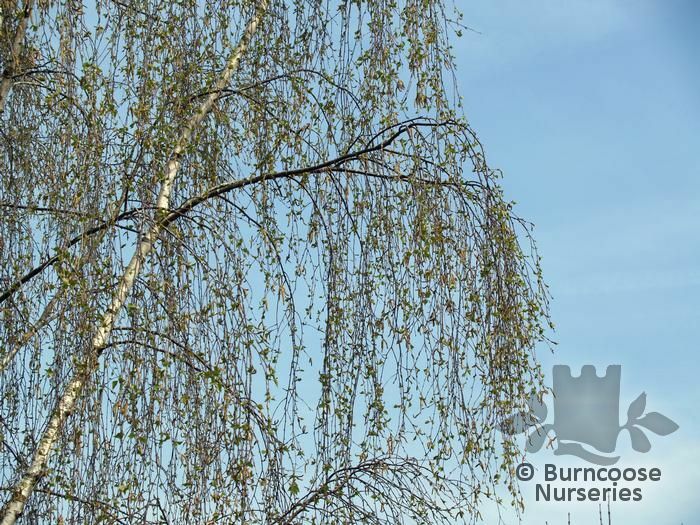 Graceful in habit (lady of the woods), ornamental bark, colourful autumn foliage, attractive male catkins and an open crown make this a superb choice for a garden tree for even modestly sized gardens. Autumn leaves decompose quickly. The UK species are silver, downy and dwarf and are all important wildlife trees. Countless uses in history including canoes, writing material, beer and wine and bark gaiters. Deciduous - mid- to dark-green toothed leaves. 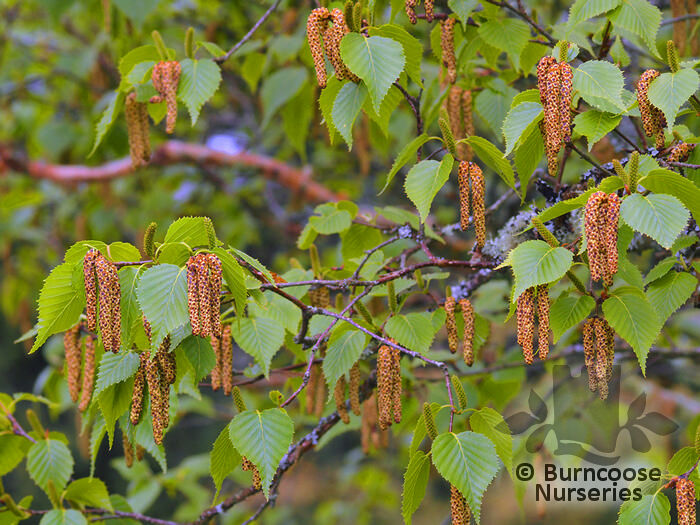 Male and female flowers appear in spring in separate catkins on the same tree. 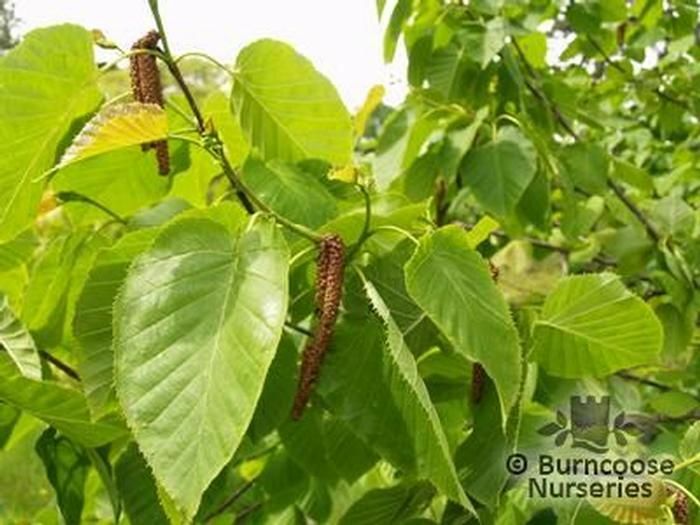 Male catkins are usually yellow-brown, pendent and longer than the females. 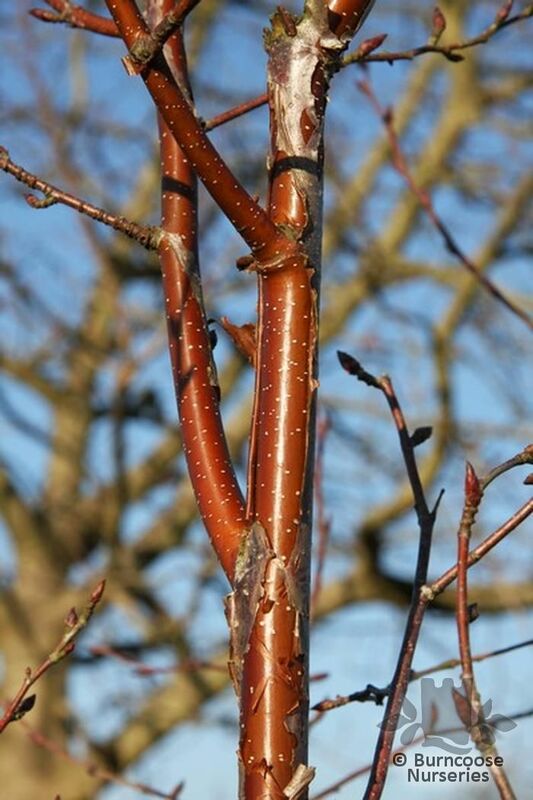 Tree - grown for decorative bark, graceful form and autumn leaf colour. Partial shade - prefers light, dappled shade. Additional Features	- Good to know - one of the 'pioneer' species which quickly colonise bare ground. Most are tolerant of very exposed positions. Wildlife plant - birds and insects. 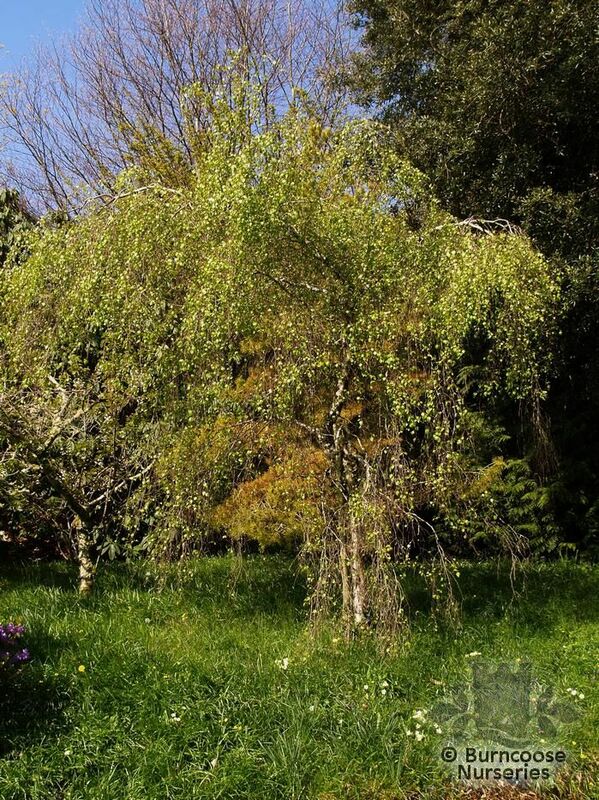 A wonderful airy tree for medium-sized gardens. 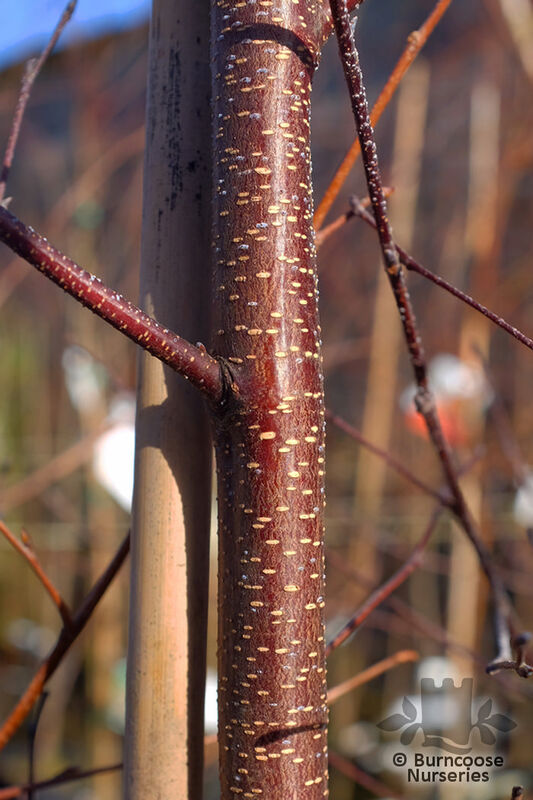 Pests & Diseases - birch borers, birch leaf mining sawfly, birch rust, mildew. 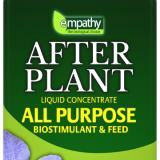 Soil Conditions	- Fertile moist well-drained soil - will also succeed in less-fertile moist soil. 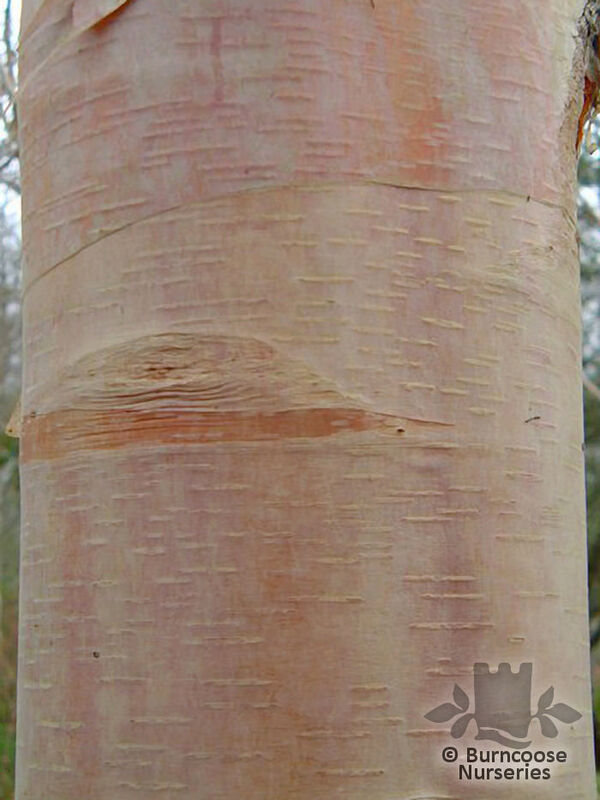 Commonly known as: Chinese red-barked birch. Commonly known as: Yellow birch. 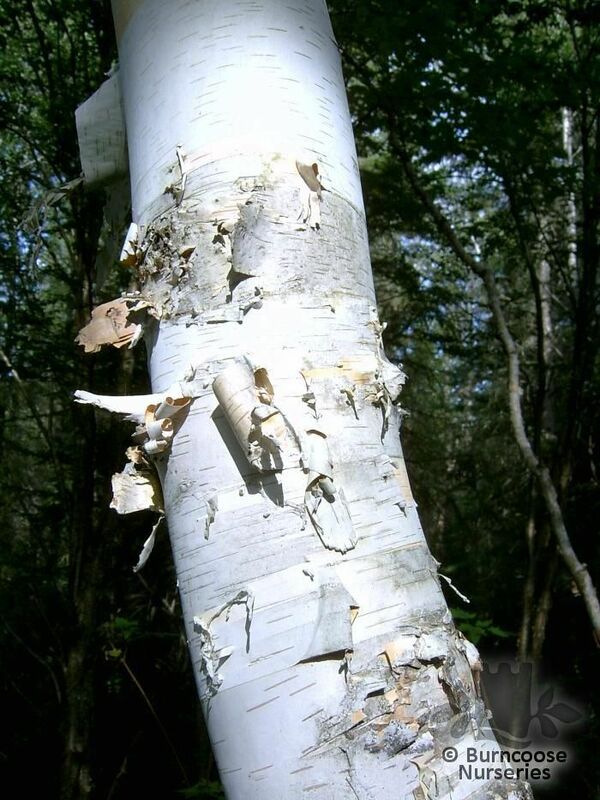 Commonly known as: Erman's birch, Russian rock birch. 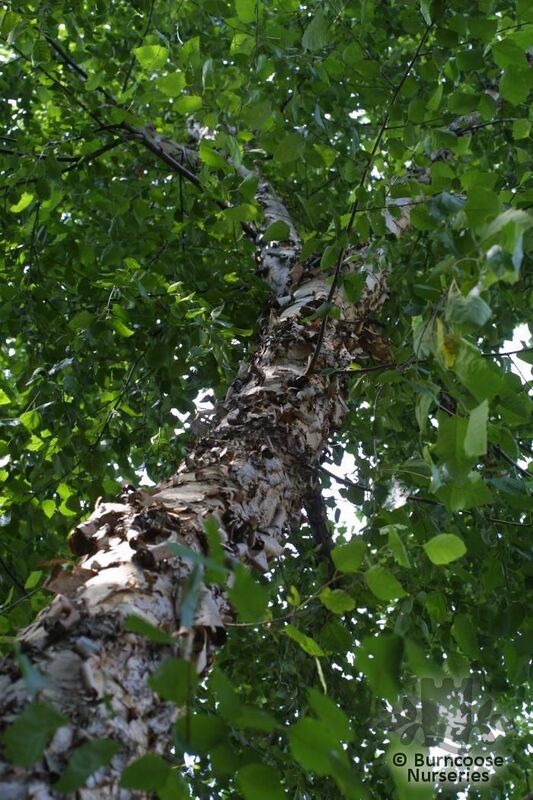 Commonly known as: Black birch, River birch. 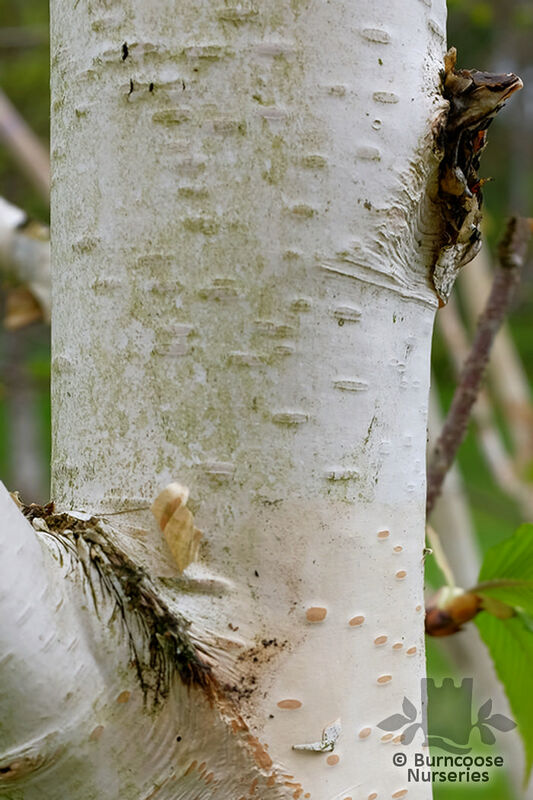 Commonly known as: Canoe birch, Paper birch. 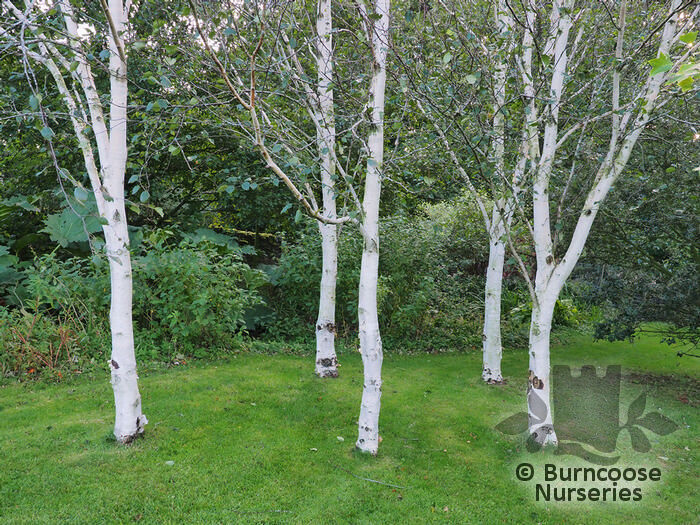 Commonly known as: Common silver birch, Lady of the woods. Commonly known as: Swedish birch. 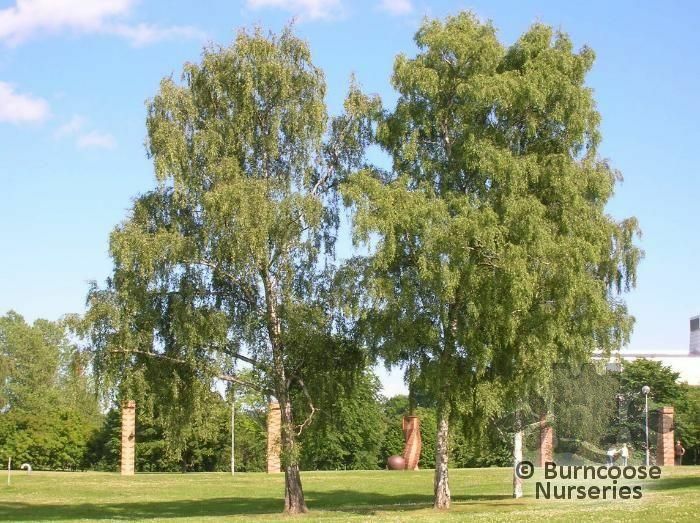 Commonly known as: Weeping birch. 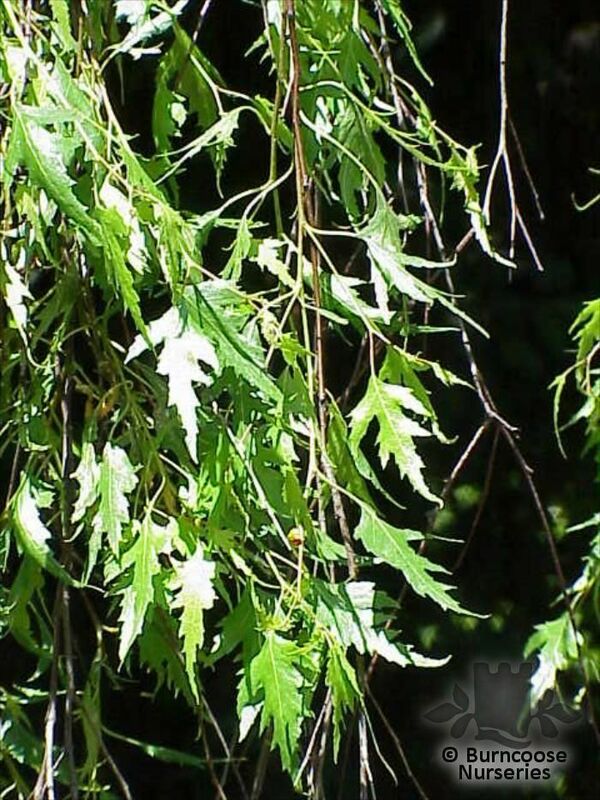 Commonly known as: Young's weeping birch. 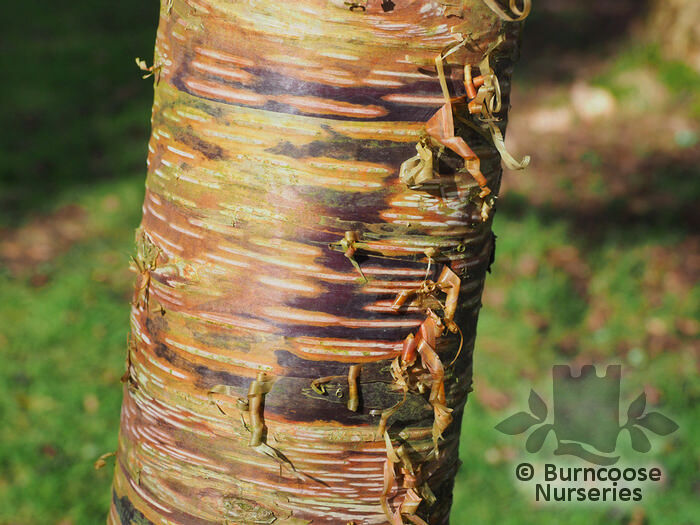 Commonly known as: Purple birch. Commonly known as: Himalayan birch.